Arranged for two alto recorders and bass recorder. Originally for two alto recorders, four violas, bassoon, cello & continuo in g minor, transposed here to a (which is the key at which the transposing recorders play). 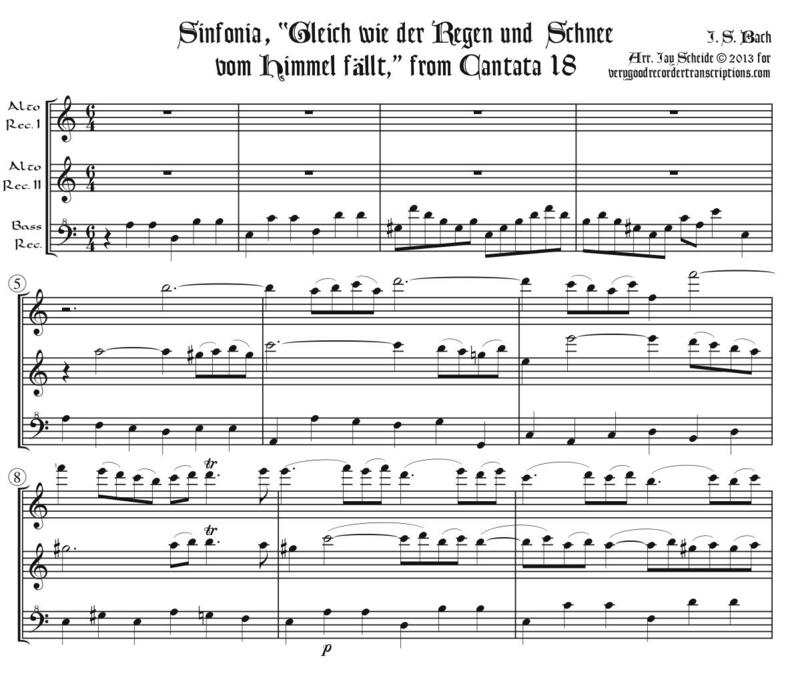 Title means, “Just as the rain and the snow fall from heaven.” NB, the recorder 1 part has a few high F#’s and a high A (as in the original), and the bass recorder part has lots of high F’s.